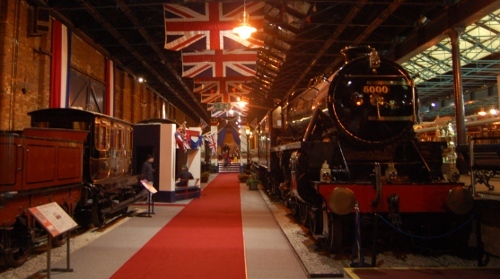 The National Railway Museum is in York, next to the York train station. Admission to the museum is free, but there are additional costs for car parking (£9), for the simulator, rides on the miniature railway and for entrance into certain special events running from time to time. There were no special events running on this visit, but I have visited before during a 50's special event and coming soon is an opportunity to ride on the Hogwarts Express (as used in the filming of the Harry Potter films). The Flying Scotsman is actually in pieces at the moment as part of a major overhaul to restore the engine to the standards required to return to mainline operations. Target is for this to be complete by 2011. They still need to raise a further £50,000 and if you look at the engine at the moment I'm not sure how likely it is to be completed this year, but it will be surely be a great to see such a iconic symbol of British engineering restored to its former glory. Another example of British history is in the display of Royal Carriages and information on the royal trains used by the Queen and previous monarchs. There is a restaurant as well as a couple of cafes. When we visited during the winter, only the main restaurant was open, but at other times the cafes were open. The restaurant is quite expensive, but the food is good quality. They were particularly helpful in carrying my tray when I was trying to juggle two trays with my children around my ankle. This was consistent with the family friendly features of the rest of the museum. 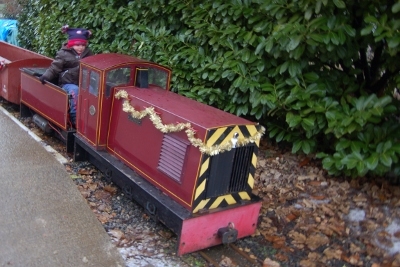 There is also an short outdoor miniature railway at a reasonable charge of 50p per person. My two year old son loves trains and enjoyed the entire visit. His favourite part was the indoor model railway. The tracks are created so that they you can't see the curves at each end so it looks like a number of straight tracks. It runs a pre-set programme with a variety of trains running in each direction. It seamed to be popular with many of the younger visitors. 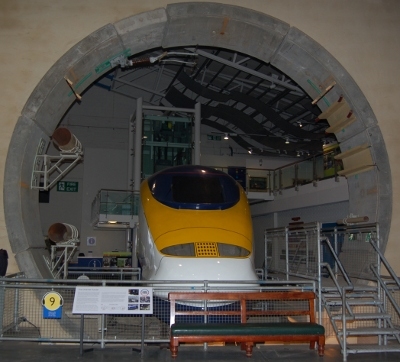 There are also several hands-on exhibits covering the management of railways. There is also an interactive display of the signalling control computers and a view of York train station and tracks entering the station. The hands-on exhibits are designed for older children, but were good fun for the children to play with as they were simple to operate with and adult providing instructions. For a museum with no entrance fee it turned out to be a moderately expensive day out after including all the money we spent on parking and food etc. It was a worthwhile day out. *Note some of the exhibits may not be on display when visiting. Contact the museum before travelling if you are looking to see something specific.